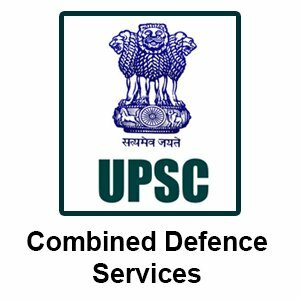 The Combined Defence Services Examination phase 2 for the year 2018 is scheduled to be conducted in November. As per the annual calendar 2018, the tentative date for the CDS II 2018 exam is 18th November. With only 1 month time in hand, your preparation for the exam must be at the peak. For those who have just planned to appear for the exam and has not started their preparation yet, one of the best ways to do so is to start with the previous years’ question papers. Moreover, UPSC (Union Public Service Commission), the exam conducting authority, did not mention the syllabus for English and General Knowledge sections clearly. 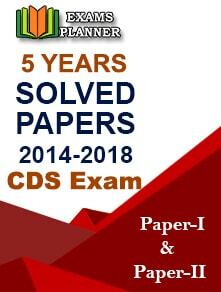 So, solving previous years’ question papers for CDS exam will give a clear idea about the topics. 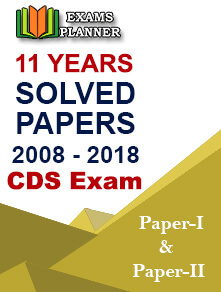 Thus, whether you are preparing for a long time or haven’t started yet, CDS exam previous years’ question papers are not to be ignored at any cost. The question paper of written examination covers three sections viz. English, General Knowledge, and Mathematics. A total of 100 questions are asked from each of these sections which are to be completed in two hours duration (per section). UPSC CDS question paper has four different sets namely A, B, C, and D. Thus, the difficulty level of the exam is high, and UPSC also changes it every year. So, solving the question papers of previous exams will give you a good idea about difficulty level and type of questions. Here are few things you need to keep in mind while solving the question papers. Create a real test-like environment. Lock yourself in a room, ask your family members not to disturb you, and set a timer for 2 hours. Now, solve a complete paper considering the time duration. Think like you are sitting for the real exam and use tricks to save time. This will help in acquiring time-management skills and speed. Do not cheat while solving the paper. Just mark the answers fairly and then check them once the paper is complete. It is a common tendency to refer to the answer key when we know we can do so. Resist it. After you have completed the paper, check it thoroughly. This will help in identifying your strong and weak areas. Don’t lose heart even if not a single question is right. Keep trying and keep solving papers. Now, work on the weaker sections and keep revising the stronger once. Solve a paper daily. After a week’s gap, repeat the first paper you have solved. Check if the performance has improved. Don’t just restrict your preparation to solving question papers, studying the topics and understanding the concepts is also equally important to move ahead. We know all these things are easy to read and even easier to write/recommend, but benefits can be reaped only when you follow what you have read. So, be determined and search for previous years’ question paper. They are easily available online. 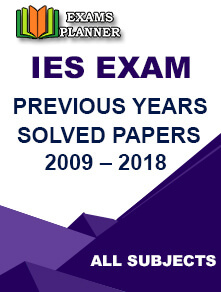 If you want to save some time, search for the books where previous years’ question papers are compiled with answer keys. Purchase them and get to work. All the best for CDS 2018 exam!